Too Scared to be Fearless? While high-performance organisations are not as common as we would think, there is a common attribute amongst them – being a fearless organisation. Amy Edmondson, in a great article called ‘How Fearless Organisations Succeed’ (read it here), goes right to the heart of the matter and outlines the essential characteristics of being fearless. 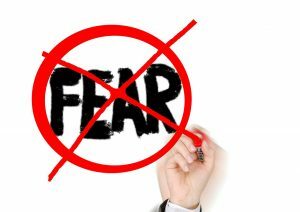 A fearless organisation is one where employees have confidence to take risks, and where the organisation minimizes the fear people feel on the job. This provides psychological safety, where there is the belief it is safe to speak up when needed with relevant ideas, questions or concerns, without being shutdown is a gratuitous way. Employees respect and trust each other, and can be candid when needed. Edmondson quotes a 2017 Gallup poll that notes only three in 1- employees agree with the statement that their opinions count at work. Do the opinions of your employees count at your work? There are some caveats, which include noting that such a fearless organisation is not one where people agrees for the sake of it, or offer unconditional support for every idea. On the contrary, psychological safety enables candor and openness, and therefore, thrives in an environment of mutual respect. Set the stage. That is, get people on the same page, with common goals and a shared appreciation of what they are up against. Invite participation. This involves adopting a mindset of situational humility and engaging in proactive inquiry. No one want to take the risks of proposing ideas when the boss appears to think they know everything. Respond productively. This sort of a response is characterized by the tree elements of appreciation, destigmatizing failure, and sanctioning clear violations. I recommend you read the entire article to get the details of these, but this is a good summary to hopefully inspire you to move your organisation towards being more fearless. This entry was posted on Tuesday, February 12, 2019 at 1:41 pm	and is filed under Change, Employees, Governance, Leadership, Management. You can follow any responses to this entry through the RSS 2.0 feed. Both comments and pings are currently closed.